Raz's Midnight Macabre: Re-Animator - The Board Game! 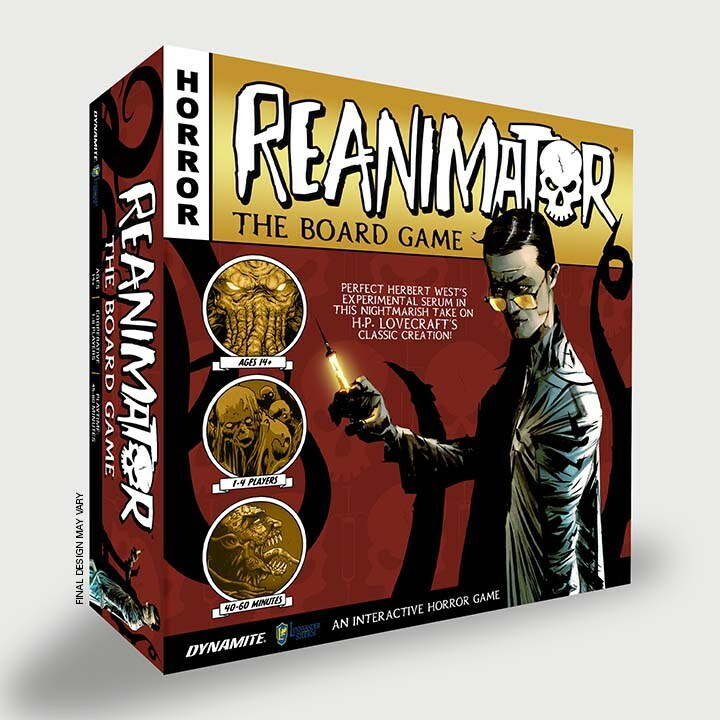 Welcome to the spine-tingling world of ReAnimator: a table top game of horror and mad science. You and your friends take on the role of assistants to the mad genius Herbert West. Travelling around the ill-begotten town of Arkham, Massachusetts, you will gather musty Tomes, mysterious Ingredients, and even Cadavers of the recently deceased for your dark work. And what work would that be? To turn back death itself! 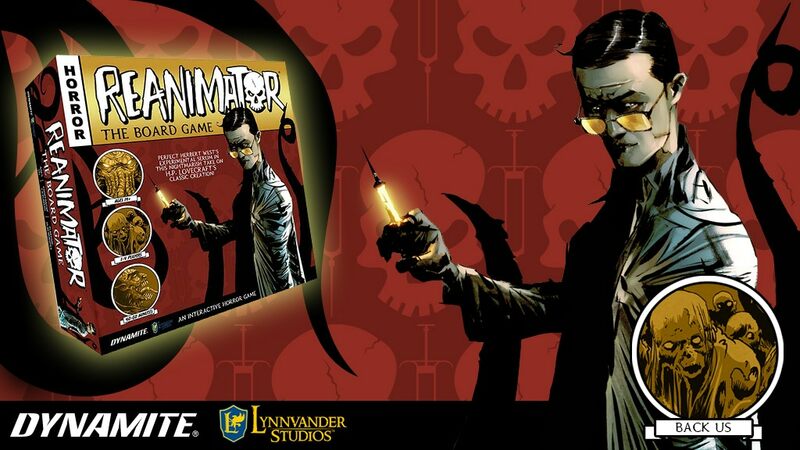 Up to four players will work together taking on the role of the narrator from Lovecraft’s original story in order to perfect the protagonist’s experimental reanimation formula. Classic characters including Herbert West, the City Watch, and the Undead wander through Arkham to help or hinder the players as they undertake their profane task. Subplots will develop through gameplay, forcing players to respond to new adventures and challenges only the world of the ReAnimator can provide! The game is hopefully expected to ship in February of 2018, if you want to help fund the game they have a KickStarter HERE.